All urban-planning and ecological objections notwithstanding, the suburban single-family dwelling remains the dream of many families. 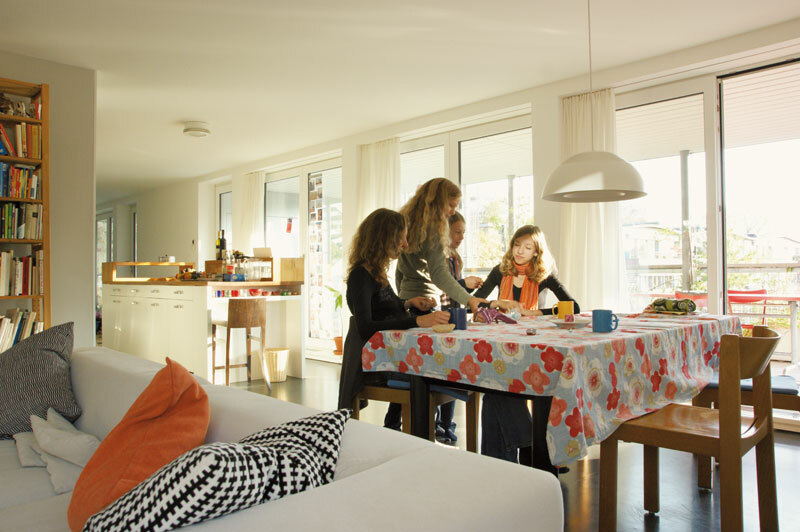 The housing development concept “Balance,” already realized in three locations, strives to create attractive and sustainable alternatives. 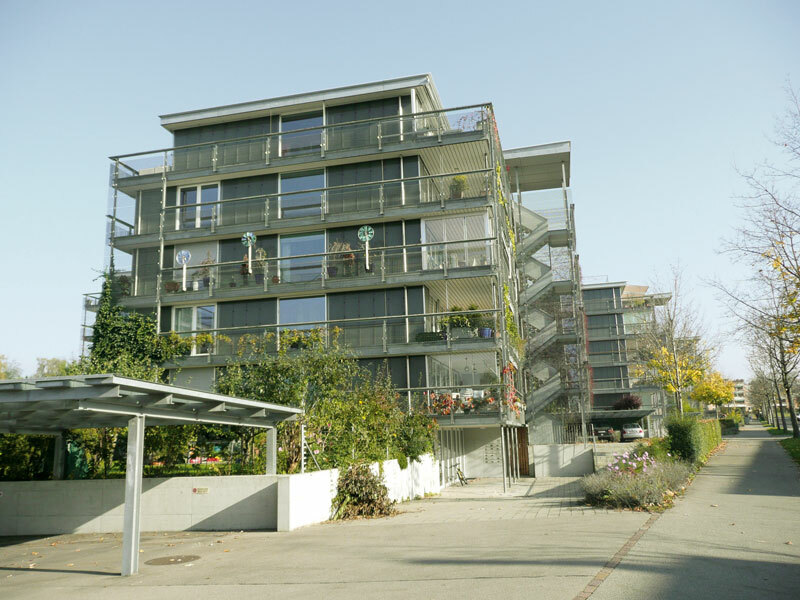 In Uster, only eleven minutes away from Zurich by commuter train, thirty-four resource-efficient “houses” are concentrated into seven multi-story point blocks. The individual stories—sold as noble structural shells comprising 190 m2 interior plus circa 100 m2 exterior space—unite the qualities of a single-family house, including a circumferential gallery, with advantages like cost minimization and typological flexibility. 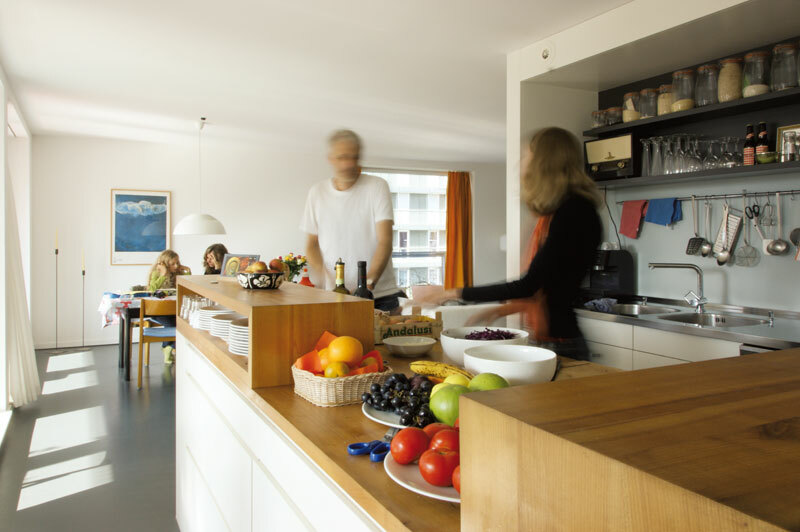 The layout design is confined to two access points from the exterior stairway, an installation core, and a freestanding layer of cabinets that in part houses the ventilation system for the “Minergie” system of geothermal heat collectors and heat exchangers, which did, however, require supplementation after the fact with electrical heating. 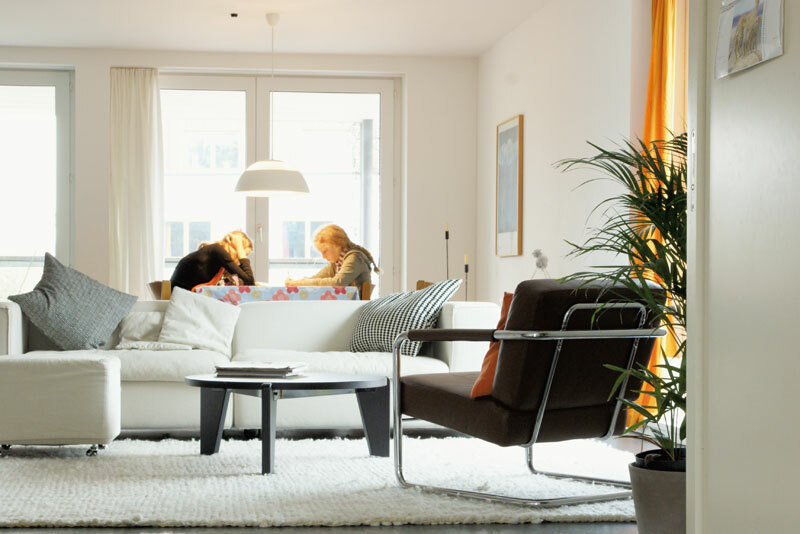 With minimal effort, housing variants from loft to eight-room apartment can be realized. This yields social diversity—young families next to seniors, who may be subleasing or running a parish office from the housetop. 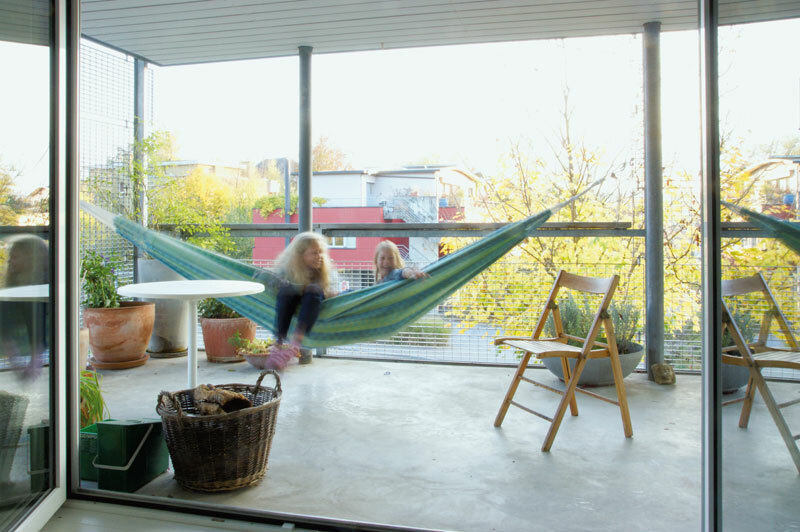 It was in 1999 that architects Christoph Haerle and Sabina Hubacher, together with general contractor Andreas Streich, developed a residential construction principle. 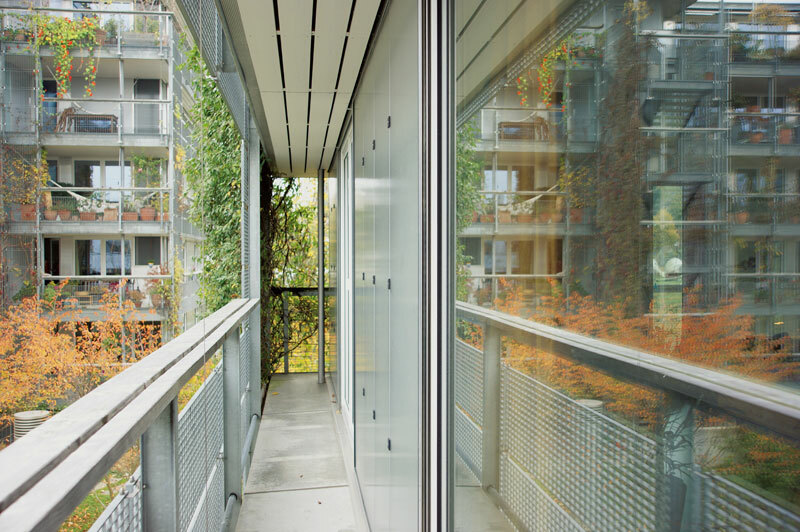 They set out to, guided by this principle, bring balance to the nonaesthetic demands of residential building—economy, ecology, and flexibility—without neglecting architecture in the process. 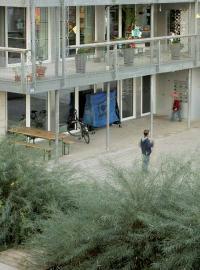 They termed the principle “Balance” and applied it to three different housing developments. One of these is located in Uster, a small township in the Zurich uplands, only eleven minutes away from the Swiss metropolis by commuter train. While ten years ago few people had heard of Uster, today the small town is practically sold out. 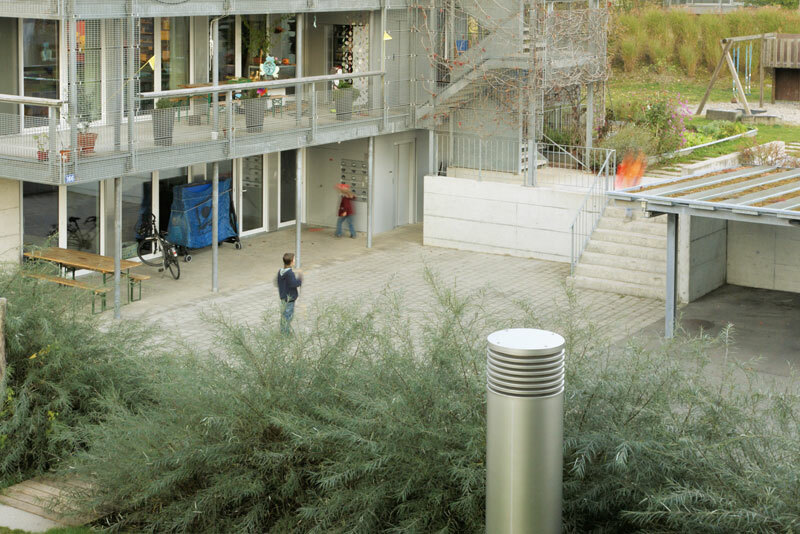 Residential complexes shot up out of nowhere, and old industrial areas were converted and are now inhabited by a middle class characterized by young families who commute to Zurich for work. 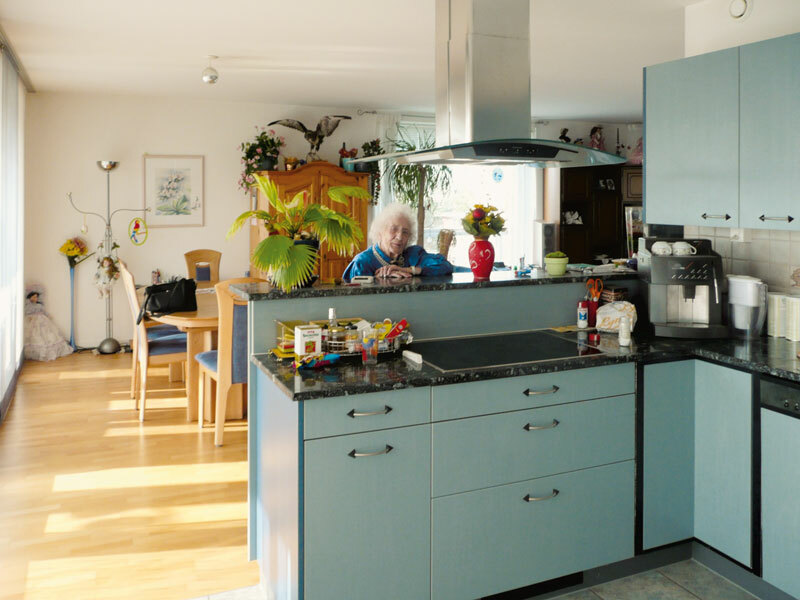 They in particular were to discover the town’s high quality of living and to make sure that alternative housing forms were also given a chance. 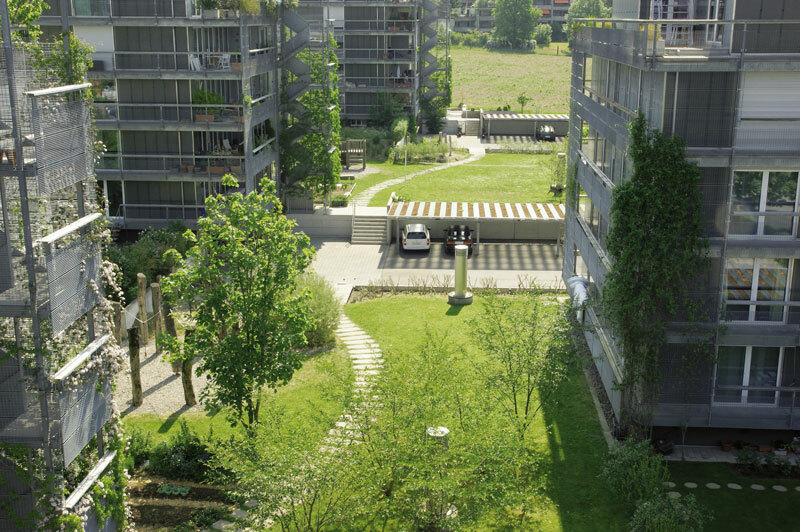 Accordingly, the Balance project in Uster, completed in 2001, quickly became known by word of mouth, and prospective buyers for the thirty-four condominiums in the development poured in without much advertising being necessary.